CORVALLIS — The end was bitterly disappointing to Oregon State — a 73-58 loss to Colorado in the Pac-12 quarterfinals that left the Beavers at 18-13 for the season and holding a bushel full of "what ifs." The last four Pac-12 regular-season losses came down to the final possession. Four other losses were by four points or fewer. But the Beavers reached some benchmarks this season, including a 10-8 record in Pac-12 play that reflected their first winning conference mark since 1990. And coach Wayne Tinkle has reason to believe that things are looking up for the future. The Beavers will return everybody but seniors Stevie Thompson and Gligorije Rakocevic from this year's team, unless redshirt junior Tres Tinkle opts to turn professional. With or without Tres, the Beavers will have a much different personnel look next season. Coach Tinkle has recruited three high school players from Southern California — 6-3 guard Jarod Lucas of Hacienda Heights, 6-2 guard Gianni Hunt of Torrance and 6-7 forward Julien Franklin of Villa Park. Oregon State has at least two more scholarships available due to the loss of freshmen Jordan Campbell and Jack Wilson this season. Tinkle is hoping to add one junior college and one graduate transfer — preferably a big man and a wing with length and athleticism. The Beavers also will have 6-10 forward Payton Dastrup, who redshirted this season after a transfer from BYU. Dastrup will have two seasons of eligibility. Lucas, Hunt and Franklin are expected to have at least some impact as freshmen. OSU assistant coach Stevie Thompson Sr. — who lived and coached in Southern California for years — opened the door for recruiting the trio, who all took unofficial visits to Corvallis before their junior year of high school. The 6-3, 185-pound Lucas ended his prep career as the No. 1 scorer in CIF/Southern Section history and third in the annals of the entire state. 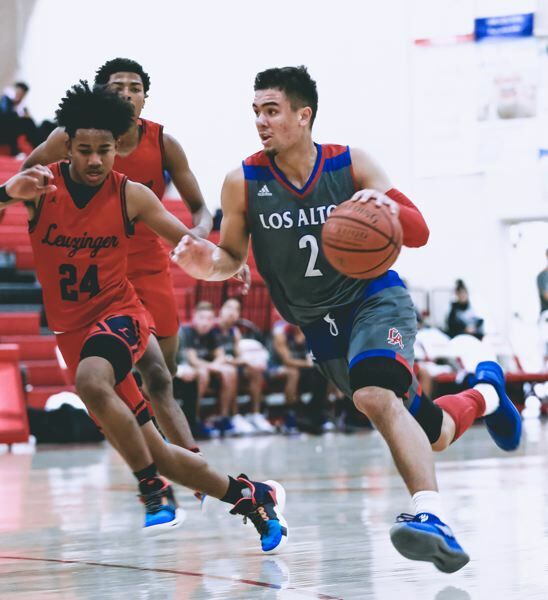 The son of Los Altos High coach Jeff Lucas finished with 3,356 points (29.4 average), passing names such as Casey Jacobsen, DeMar DeRozan, LiAngelo Ball, Tracy Murray, Jrue Holiday, Mitchell Butler and Leon Wood on the list. As a senior, Lucas averaged 39.6 points, 11.3 rebounds and 4.2 assists for a Los Altos team that went 24-6 overall and 10-0 in league play, losing in the second round of the playoffs. Lucas shot 49 percent from the field, 43 percent from 3-point range and 89 percent from the free-throw line. He knocked down 133 3-pointers and scored 50 or more points five times. During his career, Lucas — who also helped the Compton Magic win the national AAU championship last year — made 384-point 3's. He was a four-year starter on teams that won four straight league championships and was named area Player of the Year as a junior and senior. Lucas received scholarship offers from such programs as Nevada, Nevada-Las Vegas, Fresno State, Mississippi, Santa Clara and Tulsa. "Jarod can flat-out score," Coach Tinkle says. "He can really shoot it. He plays the point, but he can play off the ball, too. He's a tough kid. Very confident. I love his moxie. I think he's going to come in and be a real weapon for us." Lucas and his father attended Oregon State's 72-57 Civil War victory on Feb. 16 in Corvallis. "Jarod got to go into the locker room afterward," Jeff Lucas says. "It was a great weekend." The senior Lucas calls his son's senior season "pretty incredible." "I figured he'd average in the low 30s, but I didn't think he'd have a chance to break that record," he says. "He had to score 101 points in our last two games to do it." Coach Lucas says Jarod liked that Wayne Tinkle and Stevie Thompson Sr. both coach their sons at Oregon State, "the same way it's been with me coaching him." "He's always wanted to play in the Pac-12, and he really likes the (OSU) staff and the players," the senior Lucas says. How will Lucas fit in at Oregon State? "I think he's going to be good," his father says. "I've always believed Jarod's best position is the point, but he'll be a combo guard in college. His No. 1 skill is he's a great shooter, but he has a lot of intangibles outside the scoring part of it. "He's a hard-nosed dude. He really loves and studies the game. He's been doing that since he was young. He's not afraid to dive on the ground and take charges and play physical." The 6-2, 170-pound Hunt played at Bishop Montgomery, the alma mater of both Stevie Thompson Jr. and Ethan Thompson. The Knights won the CIF Open championship when Ethan was a senior and Hunt was a sophomore. Hunt averaged 11.8 points, 7.1 assists, 5.2 rebounds and 2.1 steals as the Knights went 25-7, won the league title and advanced to the sectional finals this season. He received scholarship offers from the likes of Southern Cal, Nevada, UNLV, San Diego State, Boise State and Colorado State. "Gianni is a true point guard, very athletic, wiry strong," Tinkle says. "He's a fierce competitor. He can shoot and get to the rim, and he has good court vision — a great floor general, very vocal. He'll set the tone at both ends of the court with his leadership." "Gianni's greatest strength is finding (teammates), getting them involved and pushing it in transition," says Bishop Montgomery coach Doug Mitchell, who also coached the Thompson brothers. "I've been coaching 30 years, and he might be the most competitive kid I've coached. He's just a great competitor in every game, in every drill and in everything he does. He's a strong leader. He has a charisma that kids just follow. "He's never going to be the guy who can bang 20 points a game at the Division I level, but he can keep the defense honest by scoring in double figures, be a high assists guy and provide lateral ball pressure on defense. He's quick; he's tenacious." The 6-7, 195-pound Franklin averaged 21.1 points, 7.8 rebounds and 4.0 assists this season, shooting 54 percent from the field and 35 percent from 3-point territory. He scored 36 points in a playoff loss to Mayfair as Villa Park finished the season 25-4. "He's a big, strong kid who can play multiple positions," Tinkle says. "He's a hard-nosed defender and rebounder and a very capable scorer." Franklin had scholarship offers from New Mexico, Northeastern, Pepperdine and Texas-El Paso. "Julien loves the coaching staff (at Oregon State)," Villa Park coach Kevin Reynolds says. "Coach Tinkle has done a great job with him. He enjoys Coach Thompson and his boys. They played a lot of club ball together. He loves the campus and the Corvallis area, and he likes the idea of getting an opportunity to play right away." Neither USC nor UCLA recruited Franklin. "It's a 30-minute drive (to Villa Park), and never once did those schools come down to watch us play," Villa Park coach Kevin Reynolds says. "Never even sent a letter. I think they made a mistake. "There isn't anything Julien can't do. We used him as a point guard to bring the ball up sometimes, but we were also able to drop him on the block to post him up. He's very versatile and has great length, the ability to shoot, pass the ball and put it on the floor." Franklin was a four-year starter for the Spartans. "The thing that separated him as a freshman was his ability to guard people," Reynolds says. "He's a lock-down defender. I think he'll do well at Oregon State, will be a really good wing." The 6-10, 250-pound Dastrop practiced and traveled with the Beavers this season. He played in 56 games during his two years at BYU, averaging 2.4 points and 1.6 rebounds in 6.4 minutes while shooting .477 from the field and .356 from 3-point range. Dastrop, 23, served a church mission from 2014-16. 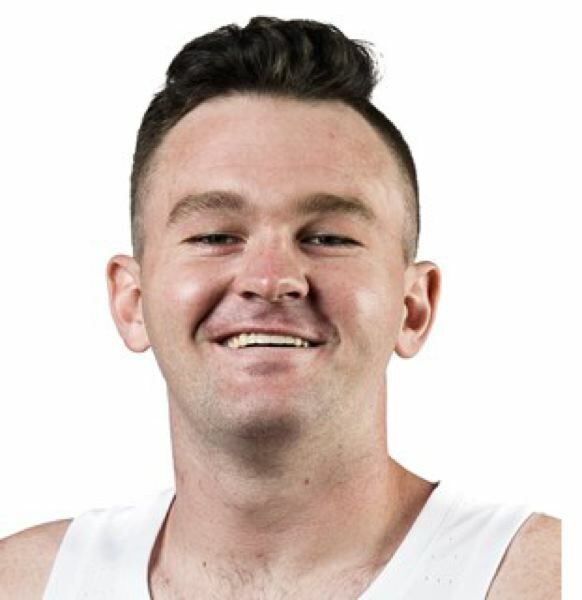 Tinkle calls him "a little more athletic version of Olaf Schafternaar," the 6-10 forward who played at OSU from 2012-16. "Payton is a skilled player," Tinkle says. "He can shoot, but we have to get him to understand the balance of inside and out in our offense. In the post, he's such a great passer, we can use him down there to collapse the defense. And he'll stretch the floor with his perimeter shooting. "He's a great teammate who brings energy to the practice court ever day. He hasn't played consistently since high school (2014), so he's chomping at the bit to put that uniform on for us next year." Oregon State is recruiting 6-4 swing man Tyson Jolly out of Trinity Valley JC in Athens, Texas. Jolly made an official visit to Corvallis to watch the Beavers fall to Arizona State 74-71 on March 3. Jolly, ranked as the No. 11 JC prospect in the country by jucorecruiting.com, started his college career at Baylor, averaging 1.4 points and 8.9 minutes in 20 games. He then transferred to Trinity Valley, and as a sophomore this season has led his conference in scoring at 22.5 points per game along with 12.6 rebounds and 4.1 assists. He is shooting .512 from the field and .350 from 3-point range for a Cardinals team that is 27-7 and headed for the NJCAA national tournament.